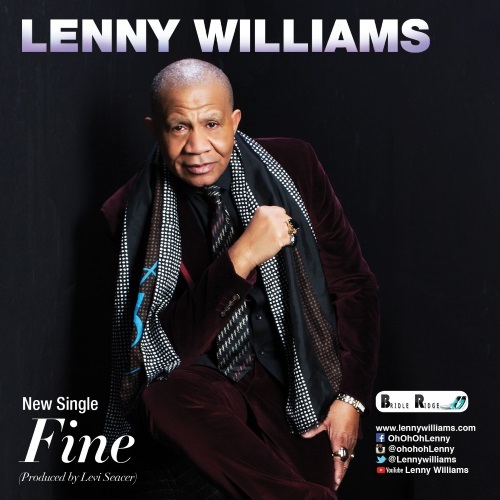 (August 7, 2018) Lenny Williams has been making great music for over four decades now and shows no sign of slowing down. He hit it big as the lead singer for Tower of Power and continued as a solo singer with big hits like "Cause I Love You." Lenny's had a career resurgence over the past few years, with a great biographical episode of TV One's Unsung, and a string of UAC releases such as "She Said Oh" and "Still." Lenny is now back with a new single that should continue his winning streak. Produced by Levi Seacer, Jr. (Prince, Sounds of Blackness), "Fine" is the proclamation of a man who has been through an eventful life, telling the world that he is blessed and is doing just fine, thank you. It is the first single from an upcoming album that Lenny and Levi are working on, due in a few months. We're extremely proud to present the World Premiere of "Fine." Check it out below and welcome Lenny Williams back to SoulTracks!